In August, ACYPL welcomed 6 delegates from Argentina. Five of the delegates were elected officials and the group had great regional and party diversity. 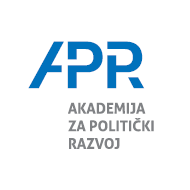 Notably, four of the delegates were women. ACYPL partnered with the Fundación Universitaria del Rio de la Plata (FURP), who has been conducting bilateral exchanges with ACYPL since 1986. In Washington, D.C., the itinerary varied to meet the general interests and backgrounds of the diverse delegation. One of the highlights was a lunch discussion about artificial intelligence, human rights, and cyber security with public policy officials at Google. With the general elections approaching, the delegation was also happy to discuss political consulting with Solidarity Strategies and meeting with Congressional Quarterly Deputy Editor Robert Tomkin and the Office of US Senator Michael Bennet (D-CO). In Arkansas, the delegation had broad exposure to the state thanks to the guidance of state host Ms. Angie Cooper, Senior Director of Global Public Policy and Government Affairs for Walmart Inc., who traveled with ACYPL to Argentina in 2017. The delegation began in Little Rock and met the Lieutenant Governor and the Chiefs of Staff for Governor Hutchinson and Attorney General Rutledge, who provided a firm understanding of Arkansas politics and priorities. In the evening, Secretary of State and ACYPL alumnus Mark Martin and two other alumni hosted a dinner and networking event by the Arkansas River. The delegation traveled to Bentonville the next day and met with Walmart executives. Walmart does have a presence in Argentina, and our delegates were quite interested to learn about its global policies and sustainability. The last part of the program was in Colorado, where the delegation was hosted by our long-time partner the El Pomar Foundation. The schedule began with a discussion at the El Paso County Courthouse with District Court Chief Judge William Bain and District Judge Theresa M. Cisneros; the first Hispanic female to hold her position in the district. 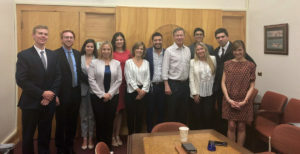 In Denver, they were fortunate to meet with Governor Hickenlooper as well as state Representatives Susan Beckman and Faith Winter, both ACYPL alumni. Two meetings with civil organizations were of particular interest to the delegates. At RiNo Art District, executives spoke about urban improvement and how to maintain artistic character and arts professionals in a growing neighborhood. This contrasted with the next meeting at The Growhaus, a nonprofit indoor farm in a food desert within the Denver metropolitan area. Here, they learned about sustainable farming through hydroponics and aquaponics that has benefited the largely Hispanic immigrant population in the area. The mix of meetings was a good fit for this delegation, most of whom had never traveled to the United States, and had wide-ranging cultural and political interests. The group enjoyed each other’s company, never ran out of energy, and half-way through they were planning a group trip to Misiones, the home province of one of our delegates.